It has been described as disturbing, conufusing, and even provocative, TNA leader Rajavarothayam Sampanthan’s speech at the 14th annual convention of the Ilankai Thamil Arasu Katchi (ITAK) has generated tremendous public interest, and raised many questions about the veteran Tamil politician’s commitment to evolving a political solution to the ethnic issue within the framework of an undivided Sri Lanka. 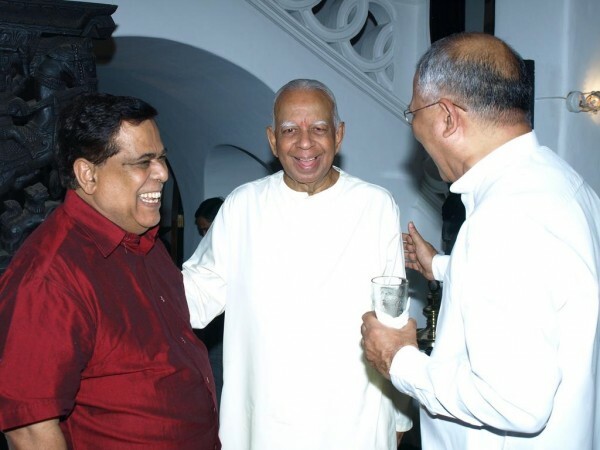 In an in-depth interview at his Colombo residence with Ayesha Zuhair of the “Daily Mirror”, Mr. Sampanthan rubbishes claims of having a hidden agenda to create a separate state for Tamils in the North and East. Your speech at the 14th annual ITAK convention has raised many concerns, and has become a matter of intense public debate. In your speech you state: “We must prove to the international community that we will never be able to realise our rights within a united Sri Lanka.” Isn’t this proof that your real objective is to create a separate state for Tamils? Not necessarily. We have tried to find an acceptable solution within a united Sri Lanka for quite some time. Let us leave aside the LTTE era. Even before the LTTE era, during the days of my leader Mr. Chelvanayagam, Mr. Amirthalingam, and subsequently after the end of the war in 2009, and in the course of our bilateral talks with the Sri Lankan government, we submitted proposals in writing which contemplated an acceptable political solution within the framework of a united, undivided Sri Lanka. The government is just not interested in evolving any such solution. When the war was conducted, the international community including many important countries both militarily and diplomatically supported the Sri Lankan government, and brought to bear extreme pressure on the LTTE. The Sri Lankan government made several commitments to these countries that they would come up with an acceptable solution after the military conflict is brought to an end. The resolution passed at the United Nations Human Rights Council (UNHRC) has largely been on account of the failure of the Sri Lankan government to deliver on this commitment. Today the international community wants a reasonable political solution, and Sri Lanka has made its commitment to the international community in this regard. In the course of my speech, I have said that we are prepared to hold hands with anybody genuinely desiring to work out an acceptable political solution within the framework of a united, undivided country, and bring about such a solution. Now the international community is involved, and the Sri Lankan government is being quite indifferent. That is my assessment of their attitude towards the international community. Even my lament to the international community is that we have failed. And judging by the way in which the Sri Lankan government is conducting itself, I do not have the confidence that even you [international community] will succeed. That is all I am saying to make the international community and the Sri Lankan government realise that we have our reservations about whether this will succeed. It is true that the Sri Lankan government has failed to deliver a political solution. But do you think that it is fair to lay the entire blame on the government? Is this situation only the result of the government’s attitude? After the war came to an end and with the LTTE factor no longer being an impediment to the evolution of an acceptable political solution, there has been every opportunity for the government to move forward. The government has not made any genuine effort to move forward. This is our complaint. On reading your speech, one gets the impression that you are trying to pacify the extremist elements within the Tamil community. Perhaps you were trying to placate those who were unhappy with your decision to raise the National Flag at the May Day rally in Jaffna. You refer to sovereign Tamil governments of the past, and you assert that the ITAK’s fundamental objective is to regain the Tamil community’s ‘historical habitat’ and its ‘sovereignty’. How could a reference to the sovereignty of the Tamil community promote unity and reconciliation in this country? Sovereignty is something which belongs to all the people in this country. It doesn’t belong only to the Sinhalese. It belongs to the Tamils and Muslims as well. All citizens are entitled to be shareholders in this concept of sovereignty of the people. What does sovereignty mean? It means the franchise, the powers of governance – legislative power, executive power and judicial power, and it means Fundamental Rights and Human Rights. That is how it is defined in the Constitution. We are all entitled to be genuine, effective shareholders in such a power-sharing arrangement which will enable us to be able to fulfil our aspirations with regard to these matters. The present structure of governance doesn’t provide for that. It needs to be altered in such a way so that all the people in this country can become shareholders in this sovereignty. My use of the word sovereignty must be taken along with many parts of my speech where I have talked about a solution within a united, undivided country. Again, to quote from your speech, you state that: “…The current practices of the international community may give us an opportunity to achieve, without the loss of life, the soaring aspirations we were unable to achieve by armed force.” What are these soaring aspirations you refer to? In the course of my speech, I have stated that the defeat of the LTTE has clearly demonstrated to us that an armed struggle is not the way to resolve this conflict. I have stated that an armed struggle has never had the approval of the international community. I have also stated that we should never return to an armed struggle; that we should eschew violence. The reality is if we can’t succeed ourselves by negotiation, then we welcome the role of the international community to help bring this conflict to an end and to enable all the people of this country to live as equals with justice and in harmony. Could you clarify why you refer to development as a ‘death trap’ in your speech? Very unfortunately, the government’s programmes of development seem to have an ulterior objective of changing the demographic composition of Tamil-speaking areas, and changing the cultural identity of some of these places. There have been some religious places which have been desecrated. Some cultural places which have been just taken over and this has caused much hurt to our people. A lot of land is being occupied by the armed forces. We have offered to be involved in development work. I have written to the President and spoken to him. I have nominated persons to be in development processes for every district. Why aren’t we involved? We are democratically elected representatives and we are being kept out. Is it because the government feels if we are involved, that their ulterior objectives will be resisted or will become public? I have told the President that the international community will be much more helpful in making funds available if we are involved. We can get the Diaspora fully involved. They will have the confidence and will come in. Today, because certain countries and certain international organisations are funding to a great extent some things are happening. But much more can happen with our involvement. “Our political aspiration to acquire the rights due to us, and the right to govern our civil, political, economic, social and cultural affairs ourselves is a reasonable demand. It is a just aspiration; an aspiration that has its roots in history; it is even a fundamental right of our people. The solution we propose for the achievement of our political aspiration will not undermine the sovereignty of another people. It does not hide a devious agenda seeking to divide the country. It does not seek to damage the interests of another country. What more do you want than this?! My appeal is that the Sinhala and Tamil people must live together. This part of my speech has not been reflected in the media. Not by Dayan Jayatilleke in his article. He must write in such a way so as to ensure that what happened to Tamara Kunanayakam does not happen to him. After all, she was closer to the President than him. I have stated that any political solution must be acceptable to the Muslims – even the question of a merger, which we have discussed with Ashraff. You can’t force things on people. Just like the Sinhalese can’t force anything on us, the Tamils can’t force anything on the Muslims. The Muslims must be in a position to fulfil their civil, political, economic, cultural and social aspirations. Any solution must provide for that, and that cannot be within a separate state. The media needs to be more even-handed in handling this question. This is a very grave issue which concerns the future of all those living in the country. I don’t think the media should be sensational. My appeal to the Sinhalese and my position with regard to the Muslims – why has that not been carried or given prominence? But I’ve said it all in the same speech. Don’t forget this. If a solution is evolved, we must carry the Tamil people with us. We must retain the confidence of the Tamil people. We must not be seen as selling out on the rights of Tamil people. What solution we come to is a different matter altogether. So you are ready to compromise? But you’ve stated that you will never be able to realise your political aspirations within a unitary framework? That is factually so. A unitary constitution has certain connotations. Genuine power-sharing is not possible within the framework of a unitary constitution. It is certainly possible within a united Sri Lanka. What do you say to the argument that politicians are exploiting the ethnic issue for their own personal gains? The verdicts of the Tamil people have always been in favour of genuine power-sharing arrangements. Don’t we have grievances? Haven’t we been treated as second class citizens? So then how can one say that we do not want power-sharing? One must go by the democratic verdict of the people. The Tamil people in the North and East have spoken up clearly. Why don’t you want to participate in the Parliamentary Select Committee (PSC) unless you reach an agreement with the government first? Wouldn’t it be more democratic to have discussions with all the political parties in Parliament? I only want an implementation of the government’s commitment. We need to have a framework to guide deliberations, but that is not to say that nothing else can come in. The PSC must not be yet another escape route. We are prepared to go, but if it doesn’t function properly we will say goodbye. We are very wary about going into a process where parties such as the JHU or the NFF are going to dictate terms. We are not going to sit there and be bullied by them. Don’t you have the confidence that you can convince them to accept your point of view?